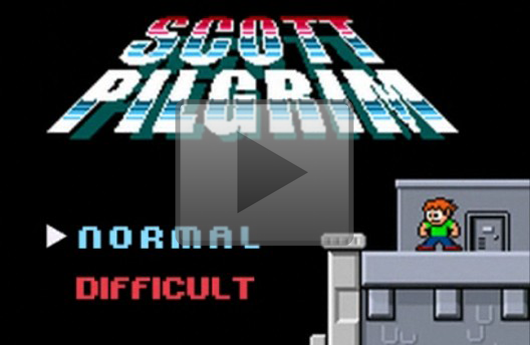 Before pixel-art virtuoso Paul Robertson and chiptune geniuses Ananamanaguchi gave Scott Pilgrim vs. the World: The Game its distinctive style, it wore its influences on its sleeve. In this early pitch video made for Ubisoft (after the break), the game features pretty much direct parodies of Sonic Hedgehog, Ninja Gaiden and Mega Man 2, set to chip covers of songs by the White Stripes, Smashing Pumpkins and the Ramones. But even in this early stage, it's clear that the designers at Ubisoft had a handle on what they wanted to make, in terms of gameplay. And it's even clearer that this game was born out of genuine enthusiasm for both the comic source and the history of gaming. Scott Pilgrim pitch video shows an even more retro version of the gameoriginally appeared on Joystiq on Tue, 10 Aug 2010 20:15:00 EST. Please see our terms for use of feeds.